the most decisive input in agriculture. The company was founded on 15th November 2004 at Sabarkantha in Gujrat. Within first year of operations, we achieved 50 lakhs turnover which has reached to Rs. 30 crore per annum now. 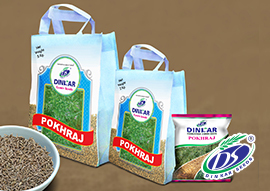 Wheat, Bajra, Paddy, Jowar etc. Cereal Crops are members of the grass family grown for their edible starchy seeds, while fodder crops are crops that are cultivated primarily for animal feed. Okra, Cow Pea, Guar, Palak, Onion, Raddish, Corriander etc. 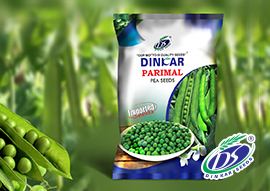 Good quality seeds are essential to grow a strong and healthy vegetable crop which ensures good health for our nationals. Cotton, Castor, Sesamum, Mustard etc. A cash crop is an agricultural crop which is grown for sale to return a profit. 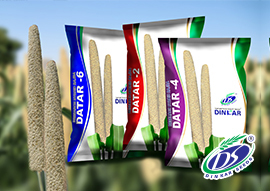 Our R&D ensures the quality and processes to get a better yield and high output. Cumin, Fenugreek, Suwa, Feenal, Moong, Gram etc. India ruled world commerce in history because of its quality spices. 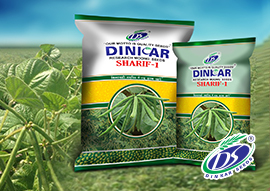 At Dinkar Seeds, we keep the tradition going by producing high quality seeds for spices and pulses.